leadership references to your college application? Then Teen Advisory Board is for you!! 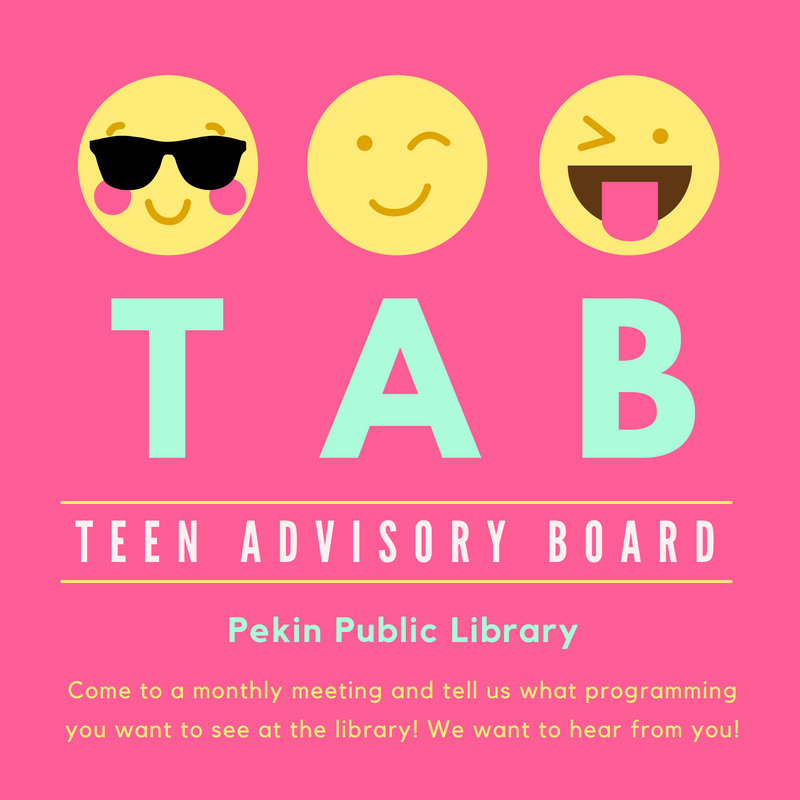 Junior high and high school students meet once a month to assist in choosing which teen programs, speakers, or activities we bring to the Pekin Public Library. Teens gain leadership skills, organizing skills, and build a sense of teamwork while making the library a better place for teens and book lovers alike. Stop by the front desk to pick up an application!